Can you believe it’s time for fall decor already? 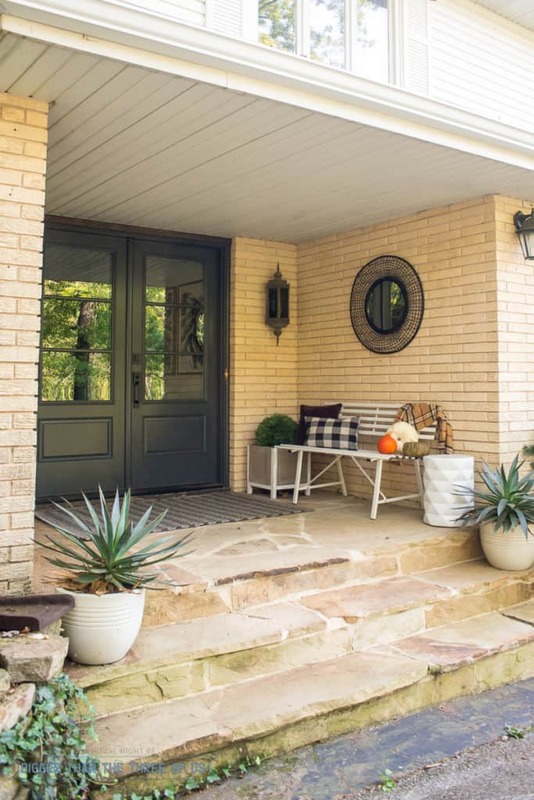 It seems like just yesterday when I shared our Budget-Friendly Front Porch makeover and here, today, I’m back sharing some Fall Front Porch Ideas. 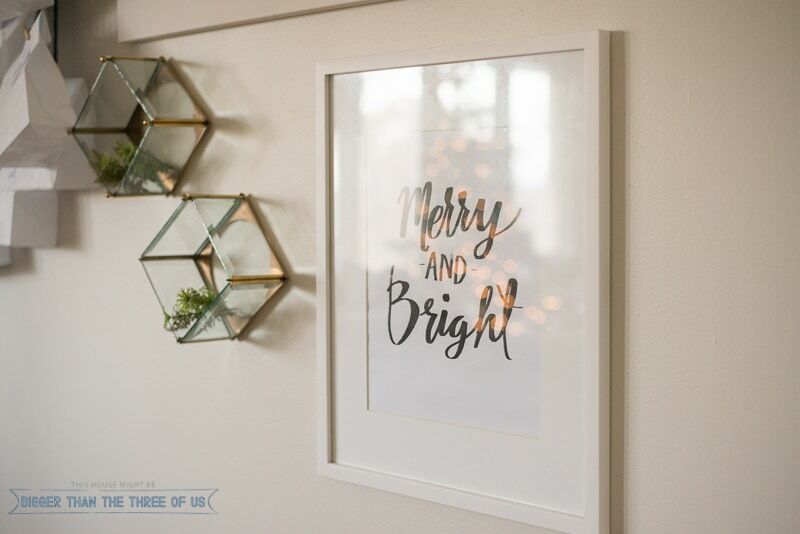 If you know me, then you know that I’m not a great seasonal decorator. 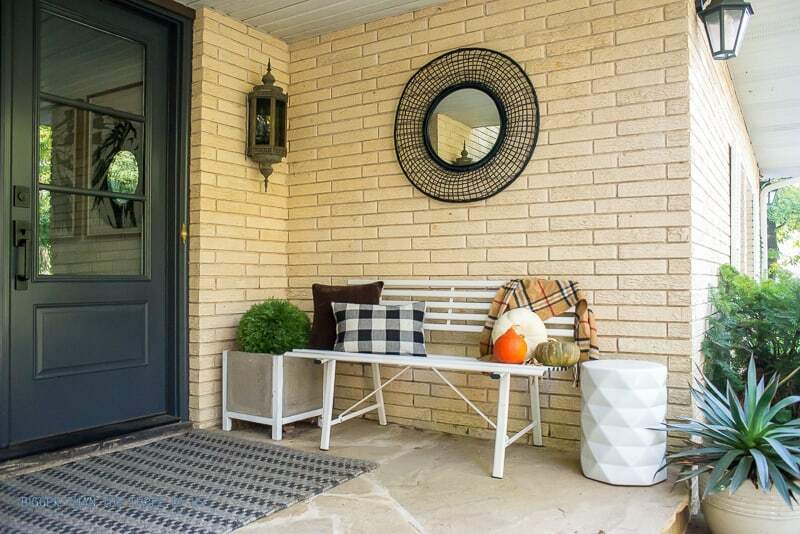 So, my Fall Front Porch is minimal yet welcoming. Or at least, that’s what I was going for! You be the judge and let me know what you think! 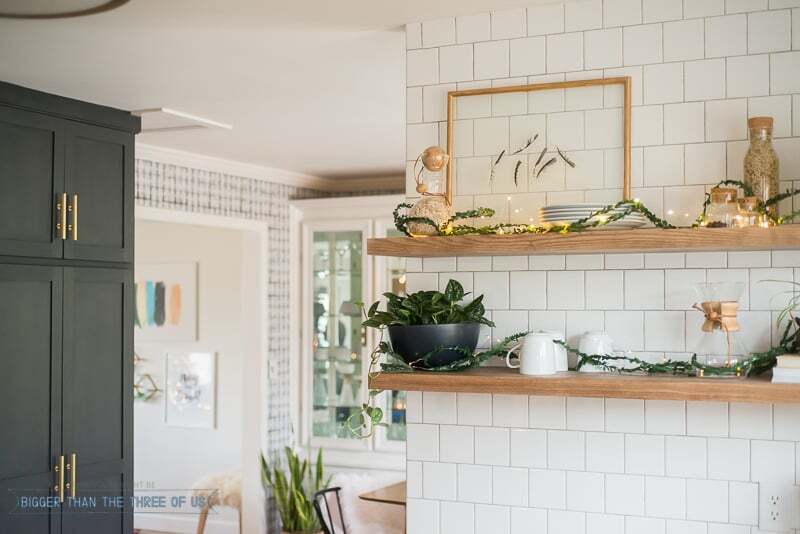 I’ll show you a few pretty pictures and then you can watch the video on why/how/what I did to give the space a bit of a makeover! Looks so simple, right?! That’s because it was! But, let me tell you, even with this “simple” look… if you aren’t careful you’ll end up spending $150, easy! Watch the video and find out what changes I made and how I saved money by using things I already had! *If you love YouTube videos, I’d LOVE LOVE LOVE if you’d hop over and follow my channel. I’m just getting started on YouTube and it would mean the world to me to have more followers. Thank you! So, now that you’ve watched the video and know that we had a major squirrel problem. You know that our plants had to go. Well, not only did they have to go inside because the squirrels were digging in the pots but the weather is dropping and they would eventually die if they weren’t taken in. Because of the squirrels, I decided to go with fake plants this time. Well, that and I knew I wasn’t going to keep mums alive. The fake plants (link at the bottom of this post) are amazing. Seriously! They look great in person and, since we put them in, I haven’t had one issue with squirrels. That’s a huge win! 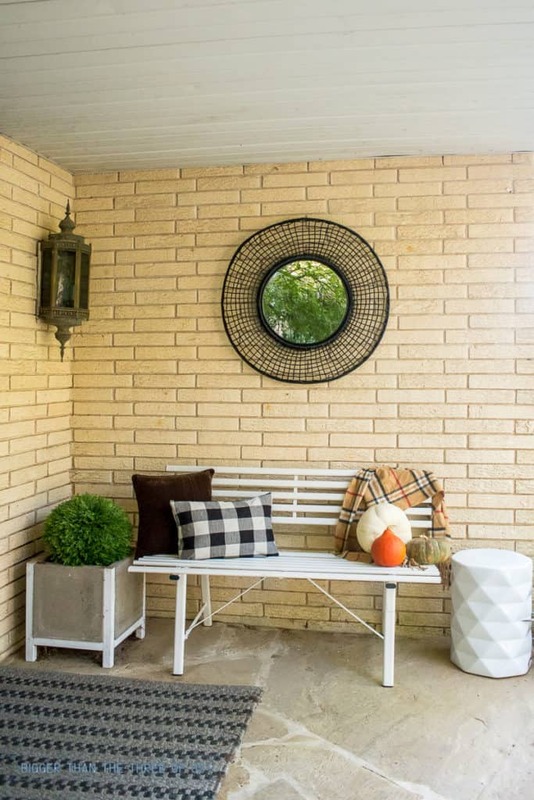 I think the main takeaway from my decorating is that if you start off with a few neutral pieces on your front porch (rug, bench, garden stool, and mirror), then that allows you to keep them out and just add to them each season. 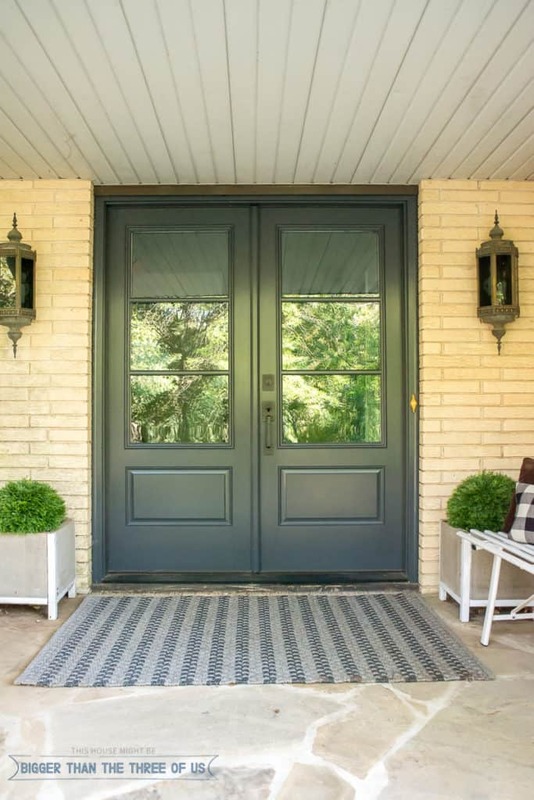 If you missed the look of what I called my “Budget-Friendly Front Porch” in the Summer, than you need to go and check it out. It’s the same major pieces, just a few tweaks here and there. 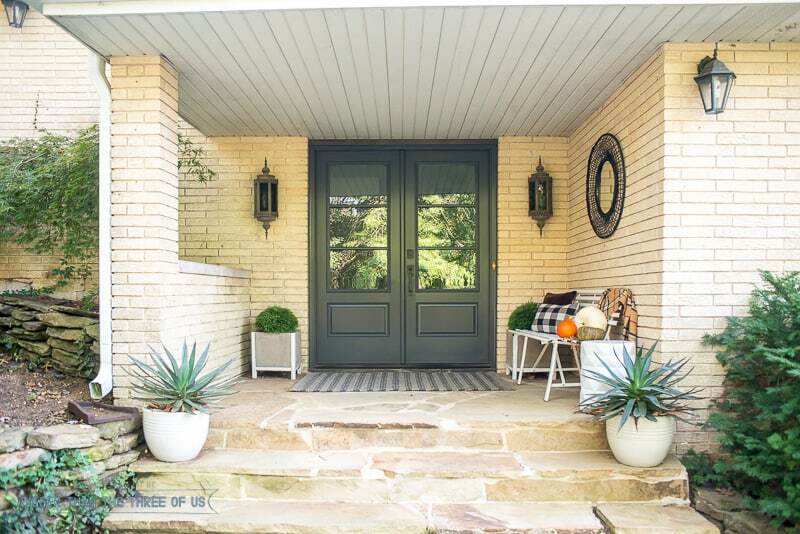 I’ve said this over and over again, but I know I’m not going to win a cute, front porch contest with this look but that’s not my goal. My goal is to not spend a ton of money yet have my space look welcoming. Do you think I achieved that?